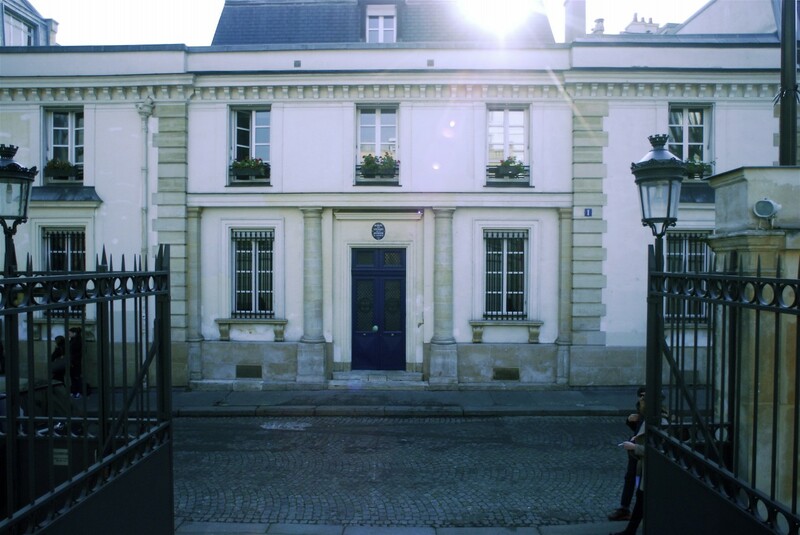 The BVJ Opéra Montmartre Youth Hostel is located at the very heart of the Nouvelle Athènes neighbourhood – full of theatre, shows and Parisian life – and close to the Saint-Georges area of Musée Gustave Moreau and the Eglise de la Trinité. 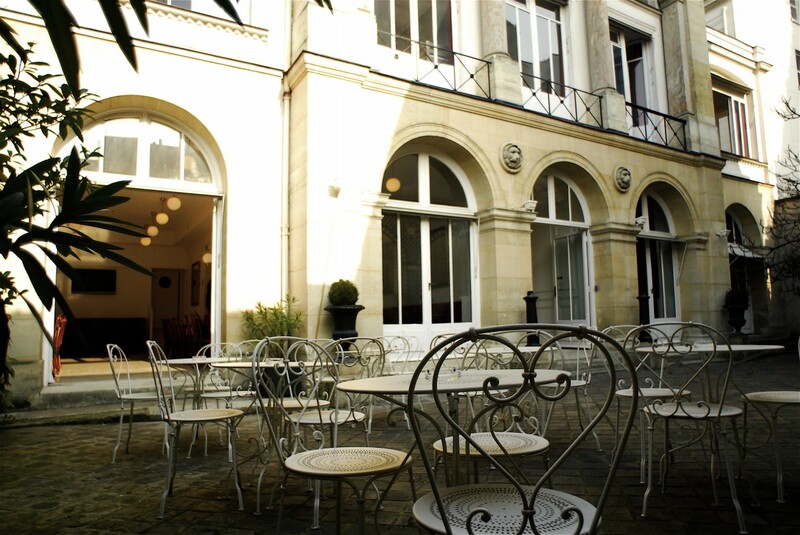 Steeped in history since the 18th century, the youth hostel is in an exceptional Parisian hôtel particulier (town house) built by the explorer Bougainville. 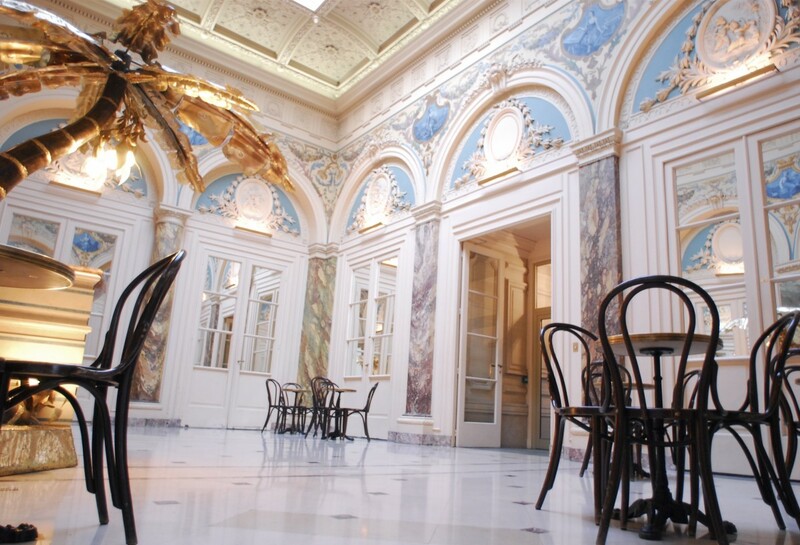 In its time, it has been home to Princess Wagram, Maréchal de Gouvion Sain Cyr, and the actress Mademoiselle Mars ! 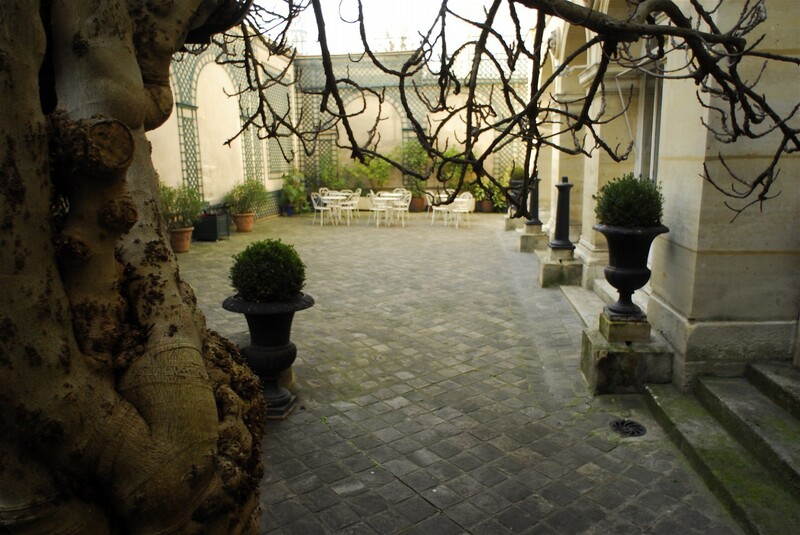 In addition to secure access, an exceptional setting, and an amazing lobby (listed as a Supplementary Historical Monument) the BVJ Opéra Montmartre Youth Hostel, has a small private courtyard featuring a fresco and a hundred-year-old fig tree (listed in the Parcs et Jardins inventory). Here, you can enjoy the free all-you-can-eat breakfast offered our guests every morning from 7.15 am to 9.15 am! Open 24 hours, every single day since 1948, you can arrive at any time, and find a welcome in around 7 languages throughout the day, as well as WiFi throughout the hostel from €2, free luggage storage and the option of small PIN-code lockers for €2 per use. And in case you’ve forgotten anything, adapters, chargers, multi-sockets, and bath towels are on sale at reception. Rooms are available from 2.30 pm on the day of arrival, and the facilities are young, simple and basic, with washbasin and bunk beds in all rooms. Sheets, covers and pillows are supplied free of charge and changed on request, and the showers and separate toilets are located outside the rooms and shared with your one-day room-mates. Drinks dispensers and a laundrette are nearby. What are you waiting for? Go for it! Choose the BVJ Opéra Montmartre Youth Hostel for a stay that is young and friendly, at the epicentre of historical and cultural Paris, the city of light! To do so, don’t forget to make your booking – group or individual. 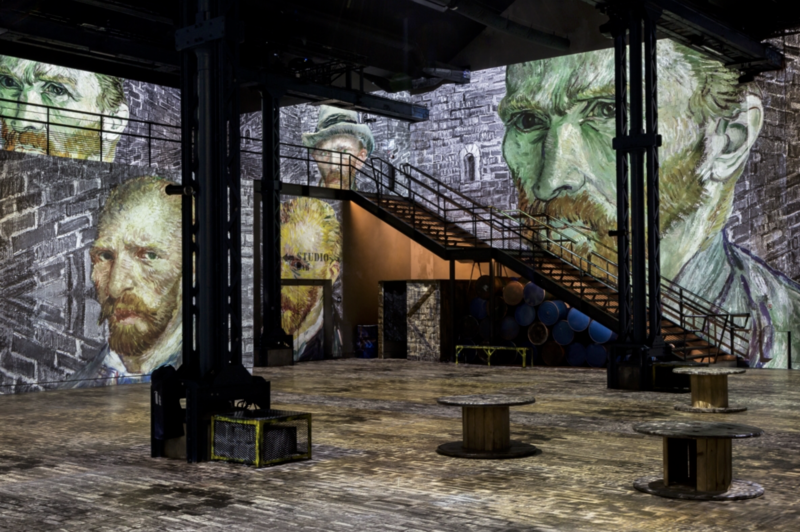 PLEASE NOTE: to make your visit to Paris even more special and exceptional, it is possible (availability permitting) to book exclusive use of the whole BVJ Opéra Montmartre Youth Hostel – Hôtel Mademoiselle Mars, including free use of our meeting rooms, for work or leisure purposes! Who’s next, after Woody Allen? 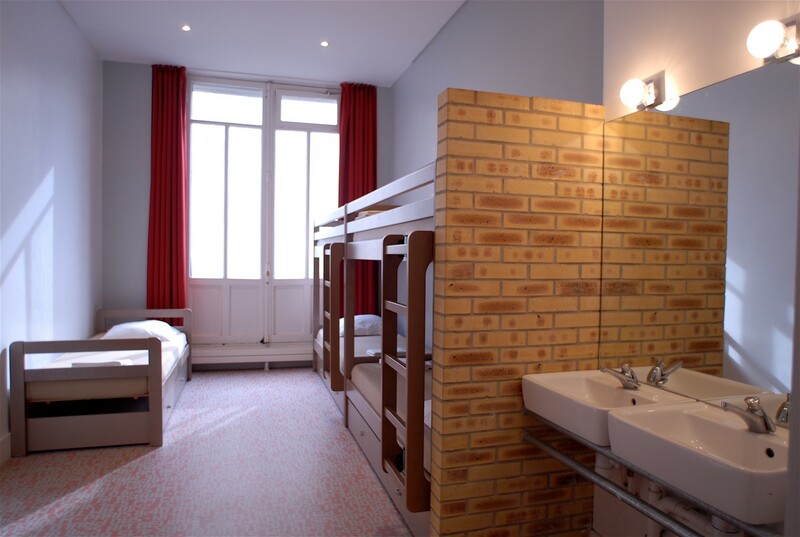 The BVJ Opéra Montmartre Youth Hostel is strictly reserved for students, secondary school teachers, accompanied groups of young people, and young travellers with open minds who are not too fussy! No lift, no kitchen facilities, no bar, no alcohol, no room-service, bunk beds in all rooms. The showers and toilets are not ensuite – they are located outside the rooms and shared with your one-day room-mates! * the reliability of évalutions wants every note(mark) or comment was attributed(awarded) by customers who stayed in this youth hostel. We hope that they will guide you usefully. 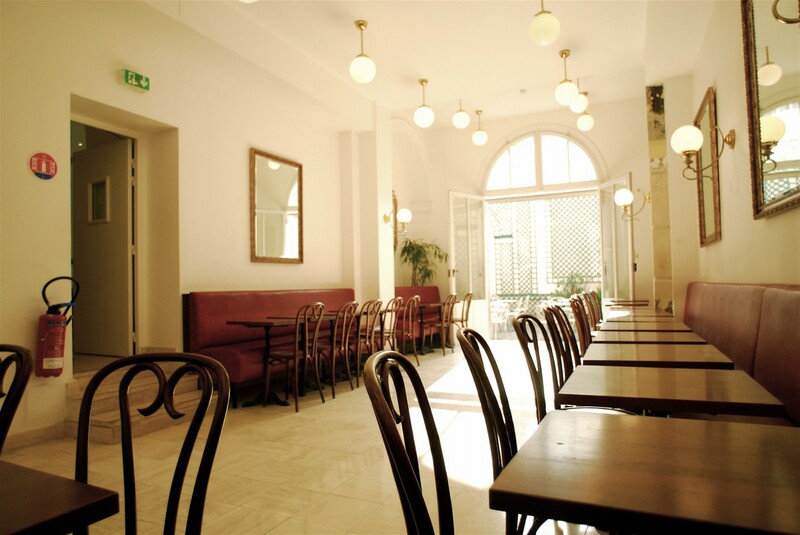 You’ll find the BVJ Opéra Montmartre – Hôtel Mademoiselle at 1, Rue de la Tour des Dames, 75009, Paris 9, just a few steps from Trinité d’Estienne d’Orves Métro station, and very close to the area of Saint-Georges, the Musée Gustave Moreau and the Maison du Romantisme – where Chopin once lived. EXCLUSIVE USE CAN BE ARRANGED !